Sherman is a controversial figure to say the least. Georgians and many southerners in general go so far as to show signs of anger and/or contempt whenever Sherman’s name is mentioned. Just ask Connie Chastain, David Tatum, and the Southern Nationalist Network. This level of hostility towards Sherman usually has to do with his “March to the Sea” in which the General waged a restrained version of total war common during the French Revolution. 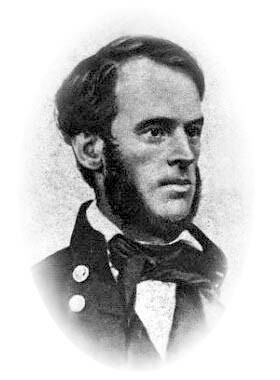 Much about Sherman’s strategic campaign through Georgia is misrepresented, misunderstood or often than not a product of myth. This does not imply that historians have failed and/or continue to fail at analyzing the events of Sherman’s March, but rather acknowledges that public opinion often outweighs fact. With renewed interest towards Sherman’s infamous “March to the Sea,” I would like to weigh into the interpretative waters of the “Sea,” while focusing on the aspects of the American armies, restraint, and total war as created by the French Revolution. This quote seems quite ironic coming from the same General whom a few years later said “war is hell,” and pledged to “make Georgia howl.” Regardless, this quote, when measured against Sherman’s actions in the “March,” paints a fabulous portrait of the American Way of war in the 19th century. After the American Revolution, Americans embraced the Jeffersonian, or radical whig, approach to military. In short, this means that America favored a small skeletal army serving as the core of American military might. To inflate the ranks in a time of war, the young Republic relied on citizen militias to rally to the cause. Republicans saw this as a principle army for the democracy and one that advocated liberty. To Republicans, a large, strong professional army such as those in Europe, served only to threaten the liberties of the new Republic. Additionally, the European military model featured aristocratic leadership. These military leaders were connected more to their aristocratic “citizenship” than their duties as an officer. Officers often chose to wear civilian attire and attained command even in their adolescence. Military leadership was a birth right. For Republicans, to embrace a European military model meant accepting military leadership. To them, this meant a new American aristocracy. This was something most Americans were not willing to do. This model of war changed with the French Revolution. 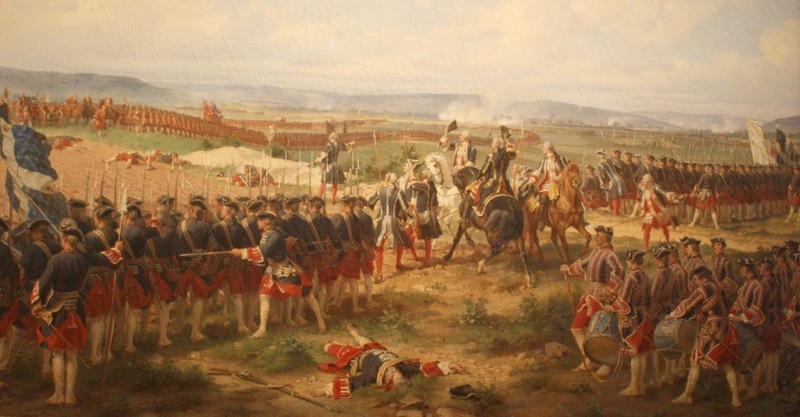 Prior to the French Revolution, Europeans carried a bleak outlook towards soldiers. To make a long story short, Europeans saw soldiers as the scourge of the Earth. Common soldiers of the time had the reputation as the “filth of the nation” so said Saint Germain. They were recruited out of “poorhouses, and prisons, and the populations on which they quartered often treated them as pariahs.” To reign in such an unruly class, the hierarchical society of France placed the aristocracy of the “Old Regime,” in a proper place of command. The social status of these men gave them power over their social inferiors. These officers likewise held their soldiers in contempt. British Officer Campbell Dalrymple commented that his “ranks are filled with the scum of every country, the refuse of mankind.” To reign in these unruly professional soldiers, officers in the limited way of war relied on drill and discipline. Not all soldiers were horrendous beings and some even rose to the officer class. More often the not, however, the aristocratic officers of Europe had more in common with the opposing military command than with their own men. This new war would be totally different from the limited wars of the 18th century. The old restraints would be stripped off. The revolutionaries thought that the war must be apocalyptic in order to achieve the “holy” outcome. The National Assembly resolved that the new war would be a “war to the death,” and that the assembly would “fight to destroy or annihilate those who have attacked us, or to be destroyed ourselves.” In doing so the Assembly shouted “yes, yes, we swear it!” raising their arms in unison as the Romans did. This new democracy of France resolved to engage in, what David Bell argues is, the first true total war. The state’s resources and man power would mobilize to wage this war and they would fight opposition indiscriminately among soldiers and citizens. Cheers of democracy entered the streets as the vision of the glorious Roman Republic danced in the minds of the National Assembly. Meanwhile in the United States, political competition between the Federalists and Republicans soared as each side attempted to define American identity. To be continued…..
M. A. DeWolfe Howe, ed., Home Letters of General Sherman (New York: Charles Scribner’s Sons, 1909), 209.
great information, I feel like the post got a little schizophrenic switching from the civil war to the pre French revolution rather quickly, but the perspective is incredibly none the less. I’m not sure where you’re planning on going with the next section, but I think a look at the way the Mexican-American war was fought might be worth while for illustrating the American perspective on war moving towards the civil war in contrast with the European perspective of the time. Thanks for the comments Joey and the suggestion. The post does take a dramatic turn, if I were to publish this I would obviously need to polish that up. But I can get away with it on an informal blog. It is an important step towards understanding the level of war Sherman, Grant and Sheridan waged in 1864-65. It was total, but also limited. A curious mixture of 18th and early 19th century warfare. The next stop will be a look at the war of 1812 and the failed Jeffersonians army concept and how Calhoun’s post war suggestions helped to create a military class in the United States or in essence, a military aristocracy in the way France experienced post revolution. The war of 1812 is an interesting way to look at it. I’m not sure if that represents a total failure of the Jeffersonian model or not though. Obviously the lack of a trained standing army contributed to the immense difficulty the US had in fighting Britain in that conflict, but I wonder if a well trained army would have faired much better against an empire as well funded/equipped as Britains when compared to what at the time was a very small and still economically unstable US. I definitely agree about the Civil War being an odd mixture of warfare methods. It stands to me as a very transitionary period in both strategic and tactical thinking. The French Revolution and the following Napoleonic Wars stood as a dramatic change in how wars were fought and how battles were engaged and it really took the better part of the 19th century for the world to understand what it meant and how to properly apply it in different contexts. Because of how transitionary this period was it might be worth looking briefly into post civil war military conflicts and how the Civil War represented an odd evolution towards what was to come and away from what had led up to it. Well if you were to ask Winfield Scott, he definitely would state that a complete lack of trained soldiers and trained officers lead to inefficiencies. The Civil War represents a pendulum swing back to the direction of defense. Napoleons warfare, at the tactical level, was a preference of offense. Seizing the initiative and maintaining it. There was little to stand in the way of the mass armies on the move in such a way. Not to mention that Napoleon, through total war methods such as fire feed, made supply lines somewhat irrelevant. He foraged and lived off the land. This allowed for the initiative to be continuous. However, the invention of the railroad and its use in military matters made supply lines more than relevant. In turn, that meant protection of those lines and thus the dawn of trench warfare to protect those important positions. Petersburg anyone? The railroad is exactly the innovation that emphasized the Napoleonic style of warfare. As you said Napoleons style was a superior offense (the best defense is a good offense), with the advent of the railroad and faster supply lines you could move a larger army faster and further with less of an issue. Generals like Grant and Sherman were much more offensive in their strategies largely due to their inability to ever out run supply lines thanks to the rail road. But even Lee showed a lot of aggression, though his was largely out of necessity due to the South being on more of a clock for ending the war. Both of their methods show extreme deference to Napoleon in slightly different ways, and even more so when you consider the use of artillery in battles like Gettysburg. I think you are correct though in stating that the Civil War represented a shift back towards defensive postures. Though I think with how aggressive military strategy had shifted in the previous century just about any shift would have to be defensive in nature. The Civil War also displays pretty aptly that a defensive war just is not a viable position anymore, this will eventually be illustrated very well in the Crimea and WWI where technology had practically invalidated the concept of digging in and making small advances and gaining incremental advantages. I suppose you could also argue that technology invalidated the old notion of “offense” too, but in the end warfare in this period is evolving from the large scale massive army positions and movements of the 18th century, and the smaller squad based aggression of WWII. Liddel Hart argues that technological stagnation allows Napoleon tactics to reign supreme for so long. The railroads is the break in that. However, as indicated by the return to Clausewitz post World War II, the example of the relationships between the state and military of Napoleon’s wars continued on. But absolutely in so far as the General reflections to Napoleonic tactics. They practice it with terrific restraint until Sherman’s march, but even then incredible restraint is in place. I would probably disagree with the notion of small forces just yet. Keep in mind what Prussia does in the latter half of the 19th century (Moltke, Schlieffen). What are you referring to George?